July 26, 2011. (Parrot Cay, Turks & Caicos)—Indulge in some post-summer rejuvenation this September at Parrot Cay, one of the Caribbean’s pre-eminent, private islands. With the arrival of wellness month, guests at the luxurious Parrot Cay will see more daily yoga and Pilates, cookery demonstrations with healthful COMO Shambhala Cuisine (by Executive Chef Daniel Moran) and access to some of the world’s leading experts and therapists. With a range of new juices added to the COMO Shambhala Menu, guests have the opportunity to supplement meals with a self-administered juice cleanse. The Resident Dietician at COMO Shambhala Estate (Bali) has specially created juices found on the menu in order to aid detoxification. Wellness month is the perfect opportunity for guests to re-energize. Whether it’s through fitness activities, nourishing cuisine, or simply relaxing on the beach, guests will return home feeling refreshed. Gather five of your best friends and head to Parrot Cay. This package provides five-nights accommodation, breakfast, lunch and dinner. A private supper for the group at the COMO Shambhala spa cottage is also included. Prices start from US $500 per night, based on two people sharing. Discover the world of COMO Shambhala Retreat at Parrot Cay with this introductory package, designed especially with new guests in mind. This full board package includes a 60-minute treatment, US $50 spa voucher, COMO Shambhala gift, complimentary daily schedule of activities and a further 25% off when guests pre-book additional spa treatments before arrival. The package is based on a three-night stay and prices start from US $1,742 for single occupancy in a Terrace Room. January 10, 2011. 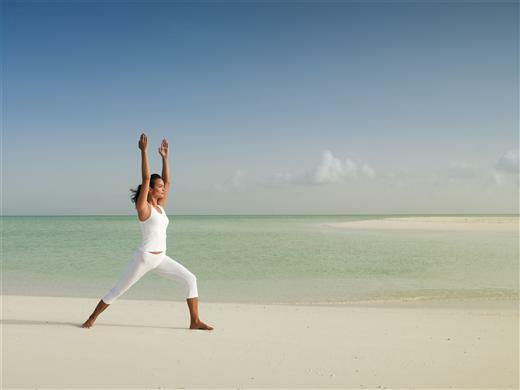 (Parrot Cay, Turks and Caicos)-One of the world’s most innovative spas, COMO Shambhala Retreat at Parrot Cay, has teamed up with well-known spa brand Guinot to offer ‘The Ultimate Facial Boost Experience’ launching January 2011. The package offers a three-tiered approach to a youthful, glowing complexion whilst allowing guests to enjoy this unspoilt corner of the northern Caribbean with its award-winning holistic centre for self-renewal and revitalisation. Therapies are provided by some of the world’s finest specialists while guests enjoy expansive villas and 1,000 unspoilt acres of a private island with its white, mile-long beach. The seven-day program includes three Guinot Hydradermie Lift Treatments—the latest in advanced anti-aging professional skincare treatments. The machine-based facial uses cutting-edge technology to treat both the skin and the facial muscles for an immediate ‘lifting’ effect. Designed for skin showing signs of loss of elasticity, it targets areas where fine lines are most evident—around the eyes, mouth and nose and across the forehead. The facial also lifts and firms the cheeks, jaw-line and neck. Many believe stress and fatigue are linked to visible signs of aging. This new ‘Ultimate Facial Boost Experience’ therefore also includes a relaxing COMO Shambhala Signature Massage and a Daily Schedule of Yoga and Pilates to nurture the mind, body and spirit. The third element of the anti-aging program focuses on diet. The resort’s COMO Shambhala Cuisine menus have been scientifically designed to maximize personal performance, addressing energy levels and blood-sugar imbalances. Cooking methods are minimized to maintain the nutritional integrity of the ingredients; this results in dishes rich in living enzymes, essential vitamins and minerals—all of which promote a healthier complexion. Detoxifying juices, broths, elixirs, vitamin boosts and organic teas are also available. Price from: £3,320 per person inclusive of government tax, service charge and return airport transfers. Flights are not included. September 13, 2010. (Parrot Cay, Turks & Caicos)-This fall, COMO Shambhala Retreat at Parrot Cay will be hosting three of America’s most renowned Yoga teachers. These Retreats provide participants with the opportunity to recharge their spiritual batteries in a tranquil environment with some of Yoga’s most important teachers. Suitable for beginners or experienced yoga practitioners, these programs allow guests to develop a greater sense of inner strength. Popular amongst solo travelers, COMO Shambhala Retreat at Parrot Cay fosters a spirit of sharing amongst guests. The first Retreat takes place from October 24th to 30th, 2010 and will be led by Elena Brower. Entitled ‘Anusara(r) Yoga: From Awareness to Acceptance,’ with Elena Brower, it will comprise twice-daily Anusara classes, including asana, pranayama and meditation. Brower is a certified Anusara teacher and is frequently featured in publications such as the New York Times, Fit Yoga and Yoga Journal. The second Retreat takes place from December 5th to 11th, 2010. Entitled ‘Moving From Conflict Toward Peace: An Exploration of Asana, Pranayama, Meditation and Chanting’, it will be led by Rodney Yee and Colleen Saidman. Yee and Saidman have been teaching together for a number of years and created the online Gaiam Yoga Club. These unique Retreats allow participants to fully immerse themselves in their practice, in the private and serene setting that is Parrot Cay.